Renowned for their fervent enjoyment of life, ardent faith and long-held spirituality – not to mention their penchant for a good night of partying – South Americans host some of the most inspiring cultural festivals you’ll arguably ever witness, anywhere in the world. Whether it’s about praying for the dead, celebrating life, rounding off the harvest or appeasing grumpy ancient gods, South America’s best cultural festivals offer visitors an exceptional glimpse into the heart and soul of the continent. Traditionally, Latin American cultural celebrations are colourful events boasting amazing food, ethnic costumes, mouth-watering food, traditional dancing and, in case you missed it, even more delectable food. Apparently, the way to an ancient god’s heart is also through his stomach. Who knew? Heading off on an unforgettable South America adventure is reason enough to celebrate, but if you want to inject some cultural pizzazz to your journey, you’d be wise to add one of the following amazing events to your itinerary. The Rio Carnival is undoubtedly the most famous party in the world and the most coveted event in the South American social calendar. Of all the cultural festivities, anywhere on the continent, this is the one that attracts the most visitors from all over the world. With its roots in 1000 CE Italy, the carnival is typically held in February (just before Lent in the Christian calendar) and this South American version is related to other world-famous carnivals like the one held in Venice, Italy. Although celebrations are held in other South American nations, such as Bolivia, Peru, Argentina and Uruguay, the Rio Carnival is by far the largest, with almost two million people participating every day for the last four days of the two-week event. Nowadays, the Rio Carnival is the most anticipated dance-off of the year, with about 200 samba schools in the city competing for first place. Parties brimming with hypnotic music, unbelievable dancing, flamboyant floats, outlandish costumes, fantastic food and non-stop festivities are held all over the Brazilian city, culminating in the Sambadrome on the last, no-holds-barred night. Rio de Janeiro is an incredibly exciting city to visit at any time, but coinciding your Brazil adventure trip with a few nights of unforgettable partying in Rio, on a Rio Carnival Package, is a once-in-a-lifetime South America cultural experience. One which you may or may not remember, depending on your cerveza consumption. On the 24th June every year, Cusco celebrates the most famous of all pre-Columbian festivals: the Inti Raymi, also known as the Inca Festival of the Sun. Inti was one of the most revered gods for the ancient Incas and his namesake festival, which first started in the early 1400s, is aimed to honour and appease him with animal sacrifices, opulent processions, dances, elaborate meals and multi-day festivities. Banned by the Spaniards in 1536 and not revived until 1944 – when a film crew intent on reconstructing the ancient ritual, fired up indigenous desire to celebrate the ‘favourite’ god. 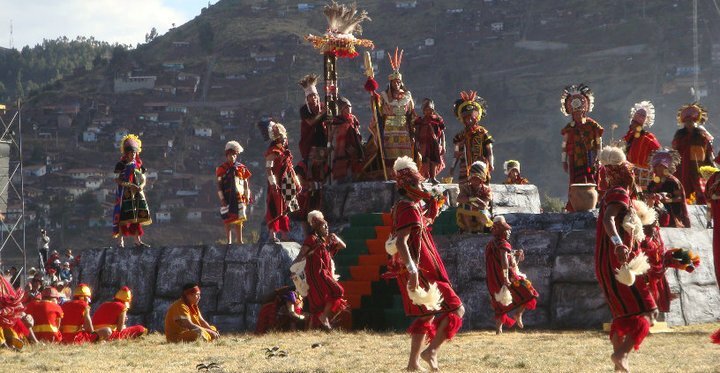 Although the original Inti Raymi was held in the heart of Cusco, celebrations nowadays are centred around the ancient ruin site of Sacsayhuamán, where a pair of llamas is still ritually sacrificed. A host of street parties, dances, processions and fiestas are held in and around Cusco during the last week of June, in what has become Peru’s most popular cultural event. 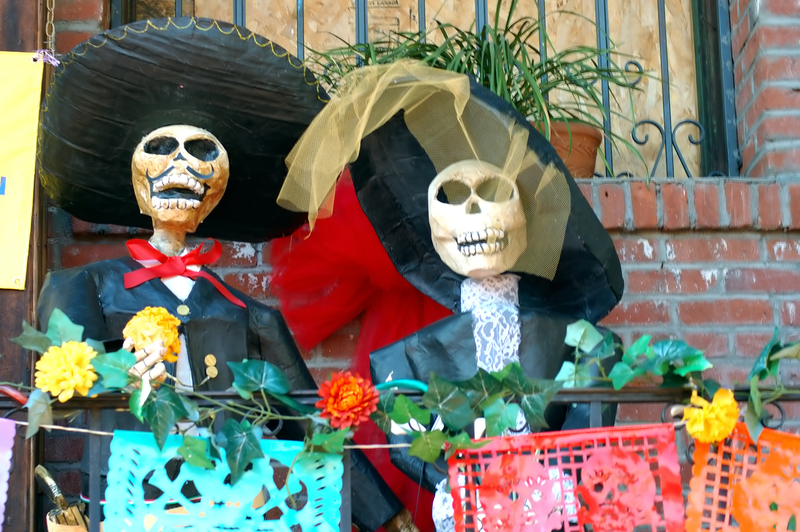 Ironically enough, you’ll be hard-pressed to find a more colourful and happy festival anywhere on earth, like the Day of the Dead in South America. South Americans take the idiom ‘gone but never forgotten’ very literally indeed, and are renowned for putting on phenomenal festivities to celebrate their dearly departed. El Dia de los Muertos is closely linked to the Catholic tradition of All Saints and All Souls Days (November 1st and 2nd respectively) although the tradition has been alive and well here for at least the last 3,000 years – ever since indigenous cultures had the habit of keeping their passed beloved’s skulls as keepsakes, decorating them and bringing them out on special occasions to honour their memory. How lovely does that sound? Continent-wide, people join processions to their local cemeteries where they make offerings of particular foods and flower arrangements. The most interesting festivals are in Bolivia, where the ancient tradition of digging up skulls and decorating them for the day is still very much alive. The Virgen de la Candelaria, Patron Saint of Copacabana (Bolivia) is the most revered saint in Peru and Bolivia, and the festival to honour her, the most elaborate event in the calendar of either country. Endless parades, music, traditional dancing, ornate costumes, and intricate masks are at the forefront of the two-week festivities at the beginning of February, with an abundance of food and drinks offered to all who attend. In Puno, on the Peruvian shores of Lake Titicaca, this is the highlight of the cultural calendar and the second-largest cultural festival in South America, second only to the Rio Carnival. In Copacabana, Puno’s counterpart on Lake Titicaca, the Festival of the Virgin of Candelaria is an absolute explosion of celebrations. If you can only attend one, we’d say the Copacabana festival is perhaps the most enticing, as this town is a normally a quiet and unassuming fishing village for 350 days a year. The contrast, thanks to the mega-party which attracts revellers from all over the country, is an incredible spectacle. Of all the cultural festivals in South America, this is arguably the most authentic and inspiring, and the eclectic mix of pagan and Catholic rituals is simply spectacular. Oh, and in case you’re wondering…reaching Puno from La Paz on a two-day catamaran voyage would certainly not be a shabby way to get that party started! Declared an Intangible Cultural Heritage of Humanity by UNESCO in 2009, Argentina’s beloved tango is not just ‘another dance’, but a bona fide interpretation of the heart, soul and history of this passionate nation. Spend but a few days in Buenos Aires, at any time of year, and you’d be forgiven for thinking Argentinians celebrate their national dance 365 days a year. They really do. 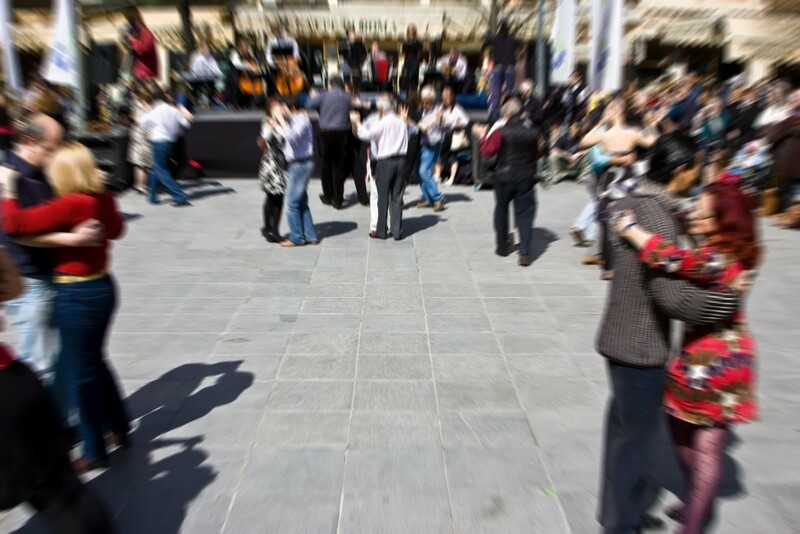 Yet visit the mesmerizing capital in August and you could enjoy an immersive and unrivalled tango-appreciation experience. The World Tango Championships is one of the most enthralling cultural festivals in all of South America and, although relatively new, has swiftly gained cult-like status among tango-lovers world-wide. Literally hundreds of events are hosted in Buenos Aires attracting the very best dancers, not only from Argentina but from all over the world. The inherent passion locals have for their national dance is mesmerizing to say the least, and although you have a near-endless list of options to catch a tango show when visiting Buenos Aires at any time, visiting during the last two weeks of August will add an extra dimension to your experience. Various stages of this world event are held all over the world throughout the year, with the final staged in its most historic place of origin. Planning your next Argentina adventure tour? Then visit Buenos Aires in August, perhaps as the end city of an exceptional Wine Trail Tour. 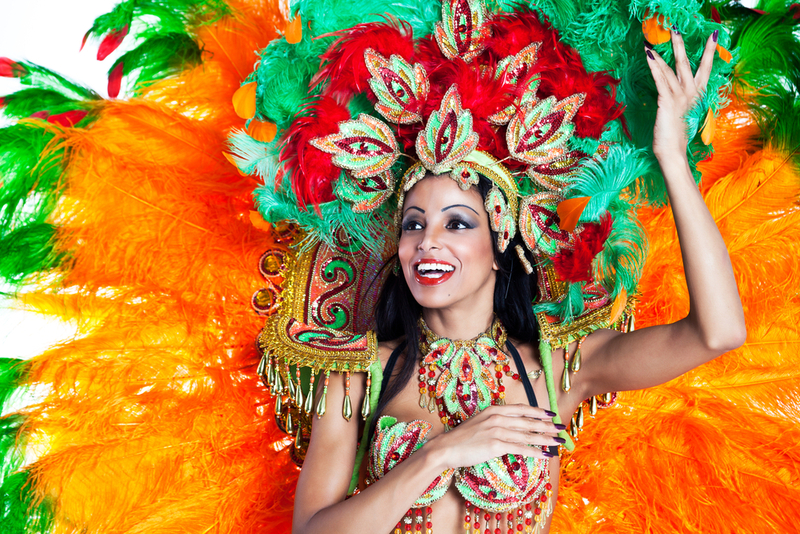 Rio Carnival has become world-famous through the Samba Parade, a show, a competition and an incredible display put on by the Brazilian samba dance schools. Carnival, the famous Brazilian festival, will take place between the 01st March and 10th March 2019 (Brazilian summer).